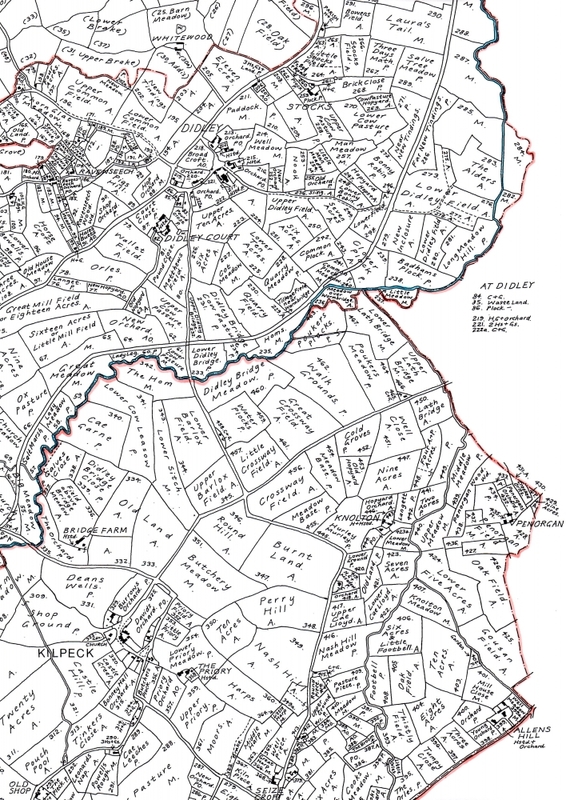 The research maps of Gloucestershire take the form of A1 black and white maps drawn to a scale of 6 inches to 1 mile and are largely based on the tithe surveys of the 1840's, where these are not available the enclosure or estate surveys of a similar date are used if possible. These maps show field names, land uses, boundaries and buildings and come with a list of land owners (where available) which can be matched to reference numbers on the maps. The maps come rolled in a tube. Maps based on the tithe surveys ( unless marked * for an enclosure survey, or ** for other sources, where fuller than or instead of a tithe survey ). 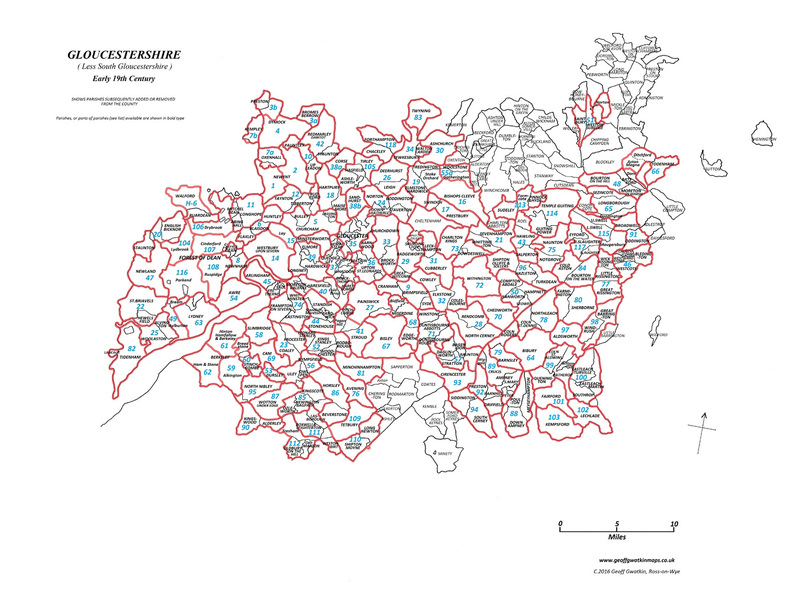 Parishes in capitals and townships etc in lower case.